With the information technology boom in Bangalore, this city has moved on from being just an Indian city to a bigger and better one. High flying IT executives in Bangalore are earning sky high salaries in return for their expertise and with this increase in disposable income come the tendency to indulge in all things trendy and fashionable. Nobody can argue with the fact that mehndi art is a trendy fashion statement and Bangalorians just can’t get enough of it. 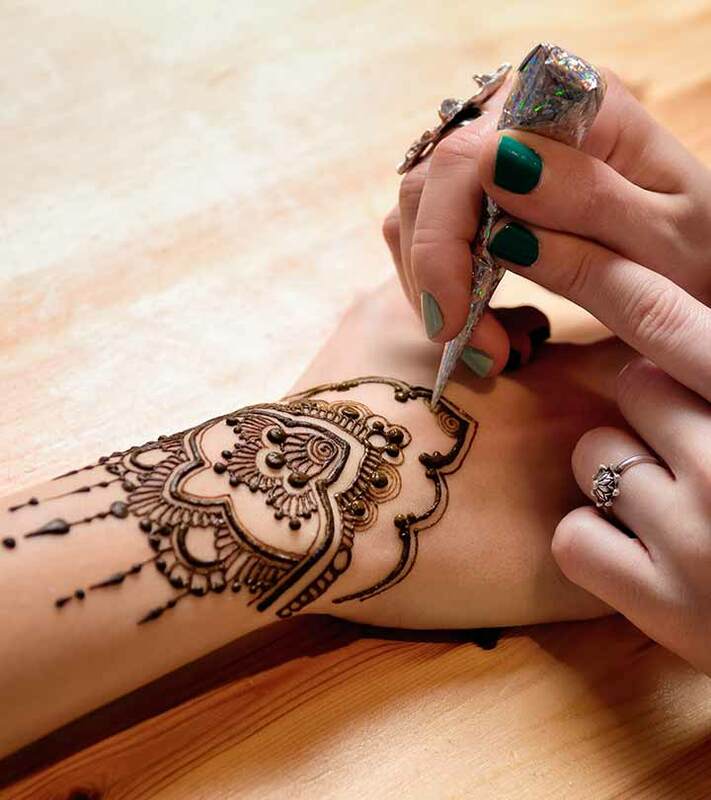 Popular at weddings and religious festivals, mehndi in Bangalore has also taken on the modern form of henna tattoos, a convenient temporary substitute to the permanent marked for life standard tattoo and Bangalorians are actively indulging in all sorts of henna art forms. Here’s a comprehensive look at some of the mehndi artist making waves in the Bangalore henna art scene. 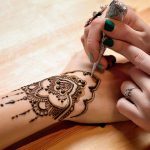 Pushpa is a professional freelance mehndi artist in the city of Bangalore known for her versatility and expertise in modern and traditional henna art. Popular at weddings and other traditional festivities, Pushpa also effectively handles Hen parties, corporate events and birthday parties. Sakina Mehndi Arts have gone one step further to excel in various forms of henna art such as Rajasthani mehndi, Pakistani mehndi, Indian mehndi, Minakari and Glitter mehndi. Therefore, if you are looking for experimental henna tattooing then Sakina is sure to suffice. The mehndi artists at Daffodils Studio are sure to impress all. It’s well versed in varied forms of henna art. Daffodils can boast of expertise in mehndi techniques from various regions such as Rajasthani mehndi, Arabic mehndi, Pakistani and Marwari mehndi. With fifteen years of experience in mehndi arts, Kadambari is a veteran in this field. Go through her detailed website to have a look at her portfolio for bridal and party designs and if you still need more assurance check out her client reviews. Apart from various forms of bridal mehndi art, Seema’s mehndi Artists are popular for their innovative henna tattoos and are actively involved in corporate events, bridal fashions shows and birthday parties. Well rated by former and longstanding clients, Afsha’s mehndi art has a strong Indian and Arabic traditional influence. For those who love mehndi art the old way, Afsha is the perfect match. Prem is a force to reckon with in the old school form of Zardosi mehndi art. Prem’s intricate and delicate designs appeal to one and all. Quite affordable and yet pure genius, Prem is well worth a try and will not disappoint you. Specializing in Zardosi mehndi, Raj’s art has a strong Arabic and Mughal influence. Raj has a good eye for detail and that is apparent in the tiny yet beautiful motifs that are integral to his design sensibilities. 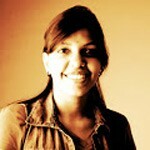 Raj is the miniature art genius of the mehndi artist scene in Bangalore. With a flair for fusing traditional Zardosi techniques with contemporary motifs, Nikhil represents the old and the new methods in henna art with immense expertise. A credible mehndi artist to bring this list to an end, Haripriya’s intricate Zardosi mehndi art is comparable to the best in the business. Surely it is well worth a try whether it’s your wedding, an important festival or a private party. These are the best mehendi designers in Bangalore! Hope you liked reading this article. Please leave us a comment.